So maybe you’ve noticed, cheap round-trip flights to Europe ($400 to less than $600) have been in abundance lately. We’ve seen quite a few nonstop and one-stop flights to Amsterdam, Paris, Zurich, Munich and a few other European destinations. If you have European vacation dreams and at least a sparkling water budget – you’ll need a little more than a tap water or beer budget – dream no more. Now’s your time to travel. One of the first things to understand is that the time of the year you travel makes a big difference in air and hotel pricing. The summer season or peak season (mid-June through August) is a more expensive time to travel and tours, flights and hotels are packed full of tourists – especially kids (remember school is out). Also, remember summer heat is real. But sunny days are nice and the nightlife is lit in peak season. Plus some European destinations may have an extremely short tourist window, so peak season may truly be your best time to visit. For example, in Ireland, it gets cold and rainy once you start going toward shoulder season. Be sure to do your research. 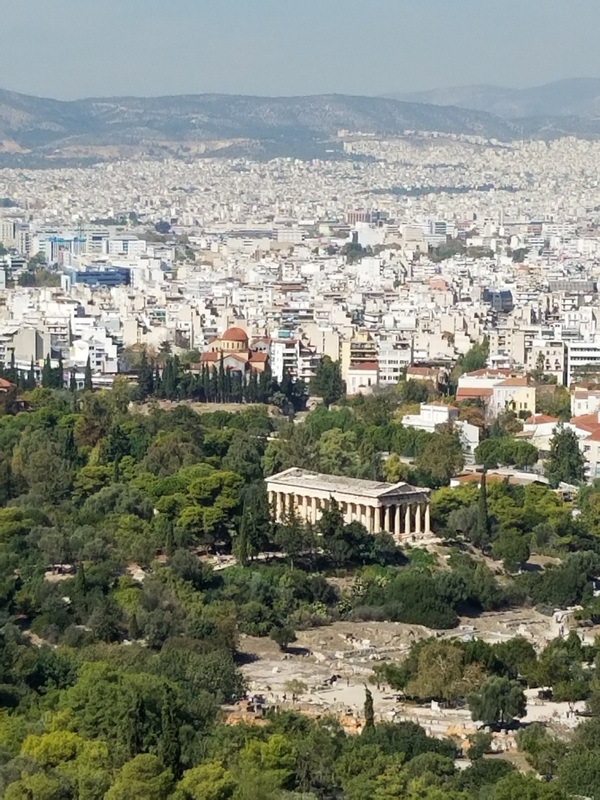 The beauty of looking down on Athens, Greece from atop the Acropolis. So what is shoulder season? We like to call it the sweet travel spot for the budget traveler. Shoulder season falls April through mid-June and September through October. Shoulder season can vary by destination, so again, just do your research. We love this time of the year— not too hot, not too cold and the price is right! We traveled to Paris, Rome and the Amalfi Coast at the end of April. Then, we traveled to Greece in mid-October. 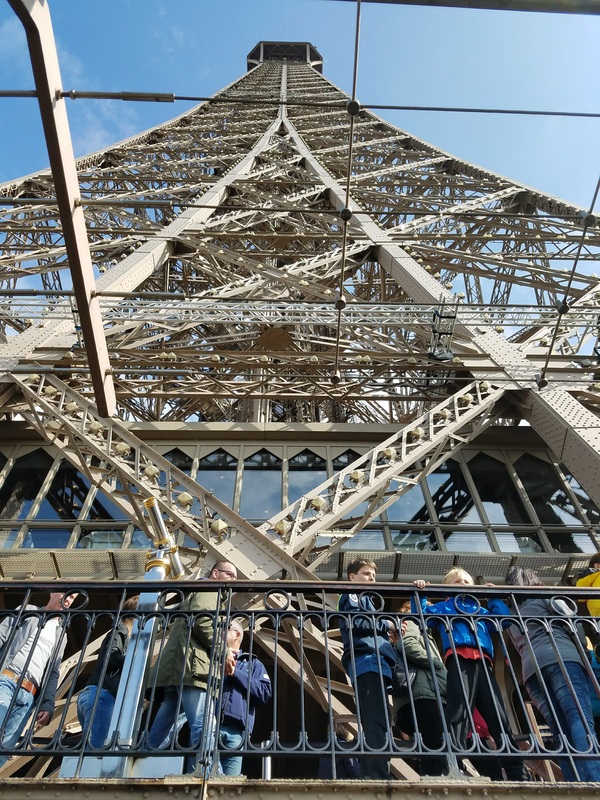 Tourists visiting the Eiffel Tower in Paris, France. We found the “queues” aka lines for attractions, taxis and restaurants were shorter during shoulder season. Plus, the hotel prices were much better. For instance, in Santorini, Greece, we had a two-floor, two-bedroom, two-bath villa with a private pool that normally costs more than $1,200 a night for less than a quarter of the normal cost per night. Now, we did experience limited ferry-rides to other islands, but we were able to still have an amazing time! The off-season is November through March and usually a cheaper time to travel, but beware that hotels, attractions and other venues may be closed or have limited opening schedules. Also, you’ll encounter colder temperatures during this time. Just things to consider, but definitely not a deal-breaker. Spending the winter holidays in Europe sounds enchanting! We hope this has offered some insight into the best times to visit Europe. Live your best life and happy travels! Previous postTop Budget-Friendly Travel Destinations from the U.S.